This year for Valentine's Day, we'll be holding a photo contest with V-day inspired moves and poses! We have poses for every skill level, plus there will be a bonus opportunity! Rules: Photos and/or videos of your pose must be tagged with @ascendancestudios and #AscendanceHasMyHeart. Only posts with both tags will be considered for the drawing. Only one entry per pose (with exception to the bonus entry). If your account is private, we won't be able to see your post, so please be sure to send us a DM with a screenshot of your post so we can add it to the drawing! There will be a total of 3 winners selected by a random drawing. If you are in a photo with a doubles partner or larger group, note the entry will only count under the username it has been posted under. Each pose is worth one entry. There is an opportunity to gain up to 6 entries, including the bonus entry below. 5. BONUS: Group of 3 or more in a heart shape (If you complete this with 3 or more people, you will get a total of two entries for this post). Cupid pose with Ashlee and Yael as the target. Pole sit with with a heart hand pose. Doubles pole heart from a standing position. 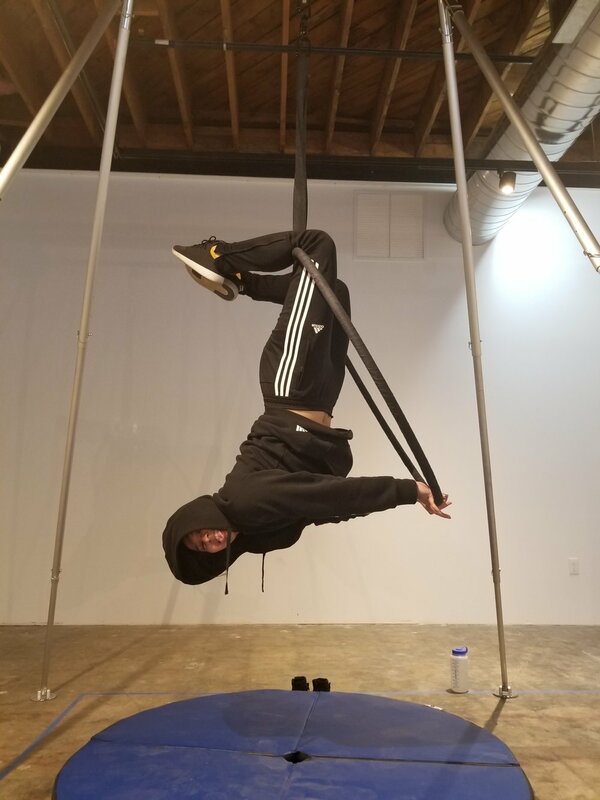 Inversion pole move, bow and arrow, with a bend knee. Prize 1: Room Rental for you, logo sticker, and a free class for your "Sweetie"
This contest will end end on 2/14/19 at 12PM. Winners will be selected at 3PM the same day. Good luck and have fun! We can’t wait to see your posts! We appreciate the turn out at Renton's Piazza Park Summerfest 2018! 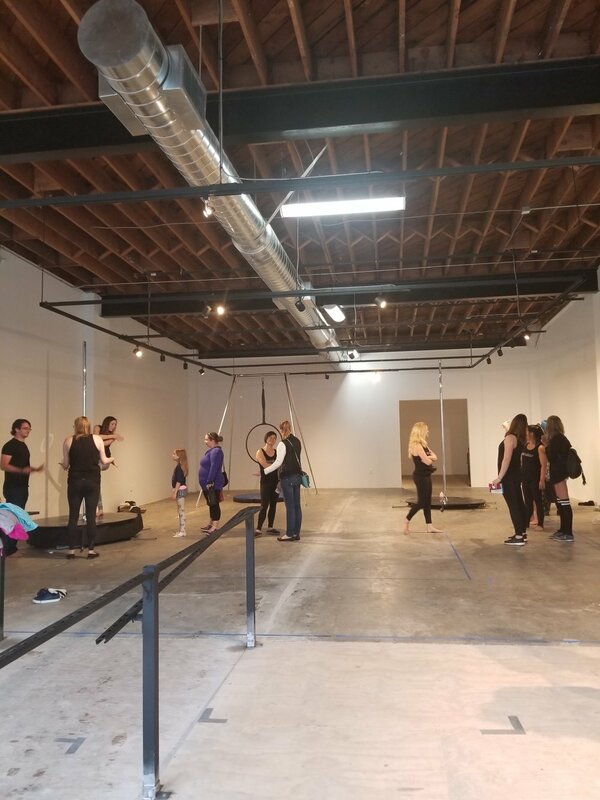 Ascendance Pole & Aerial Arts debuted its class schedule, pricing, and early bird promotions (learn more about pricing HERE). It was fun to show the Renton community what we have to offer and give everyone a chance to play with the pole and lyra outdoors in the sun. We couldn't have asked for a better weather! We were happy to answer your questions about our classes - like what shape do you have to be in to start? Answer: no requirements - come as you are and we'll teach you what you need to know. We look forward to opening on September 10, and meeting more of you at the studio. Thanks for stopping by! We'd also like to give a special thanks to the City of Renton and Downtown Renton Partnership for having us again!